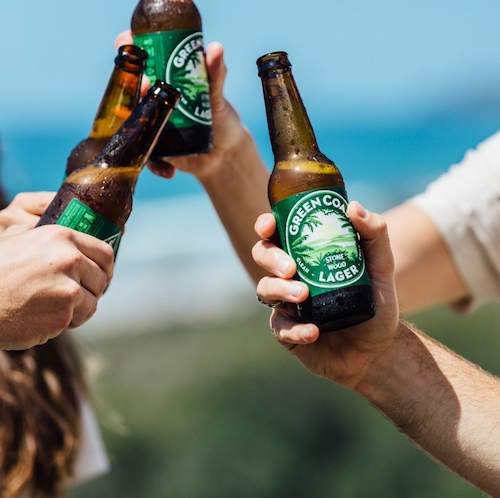 Travelling up from Sydney’s Inner West suburbs, through North Sydney, passing Newcastle and finally ending up along the iconic sandy beach of Byron Bay; this year, the Best Craft Beer Breweries in New South Wales have definitely stretched out along the coastline. Serving up everything from coffee infused milk stout and Christmas pudding flavoured porter. 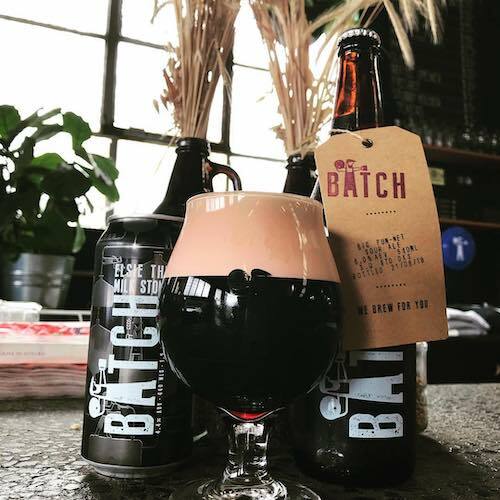 Batch Brewing Co were originally established in America as Pale Ale masters, however the team nowadays are trying out more experimental brews in the heart of brewery heaven – Marrickville. The previous panel-beaters shop turned brewery now features most of its original décor. However, expect sunken-in couches, coffee tables and growlers on the go. 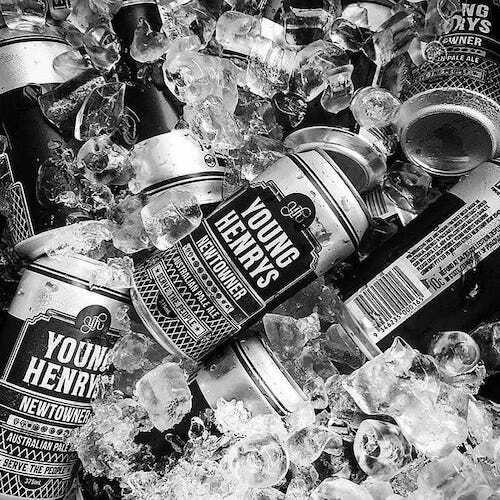 Tucked behind Enmore Road in Newtown, you’ll find Young Henrys brewing everything from lager to cider, IPA, ale and even gin. Since March of 2012, Young Henrys grew enormously in less than a blink of an eye. Originally with the intention to brew solely for the local community, Young Henrys is now a beckoning brewery for any malt and hop lover out there. 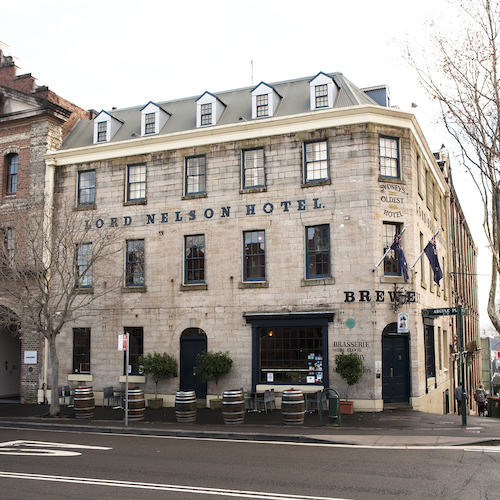 With a tasting bar and brewery tour available on site, keep your eye out for the iconic Newtowner. 76 Wilford St, Newtown Afends Hemp IPA – citrus, toasted bread, tropical and stone fruits flavours. 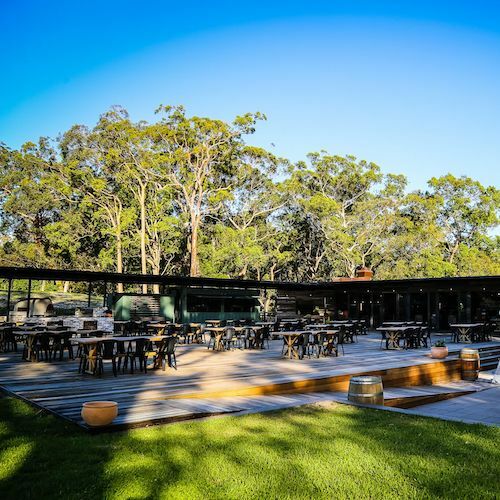 Since their beginning in 2012, today, Modus Operandi Brewing Co. can be found in the Northern Beaches suburb of Mona Vale. 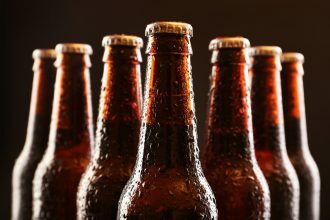 Living by their motto of “beer first, no shortcuts”; there’s no denying that consistency of the highest quality can be found within each brew. Upon your visit to Modus Operandi, pair your craft beer with a try at their blazing wings challenge. 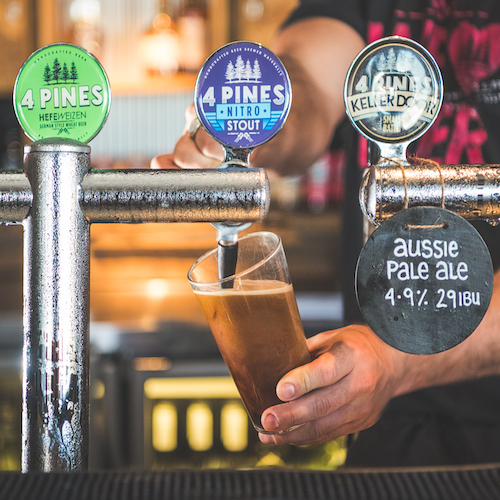 Overlooking Cabbage Tree Bay and with Manly Beach to its back, the iconic Brewpub Manly is where 4 Pines originated. Since 2008, the original microbrewery still remains on site creating the finest craft beers served – especially the entire core range on tap. Alongside the brewery tours (that include a core tasting rack), guests can also enjoy a wide range of mouthwatering food available. Nestled between Tilligerry Creek and Worimi National Park is Murray’s Craft Brewing Co. Originally found over an hour south-west of Coffs Harbour in Taylors Arm, today the venue is located within the Nelson Bay precinct. 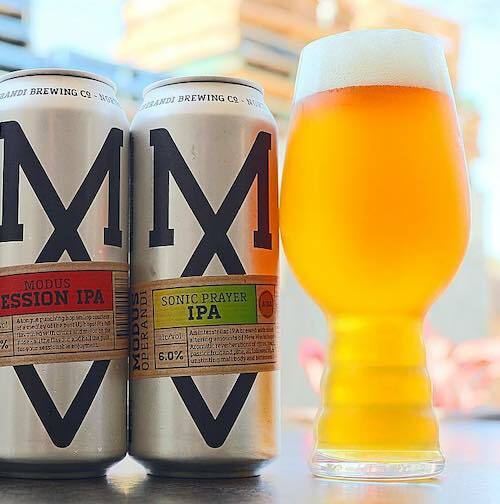 Since 2006, Murray’s Craft Brewing Co have created a range of tap and bottle naturally crafted beers. Pair your Angry Man Pale Ale with the legendary Murray’s Big Smoke BBQ Platter. 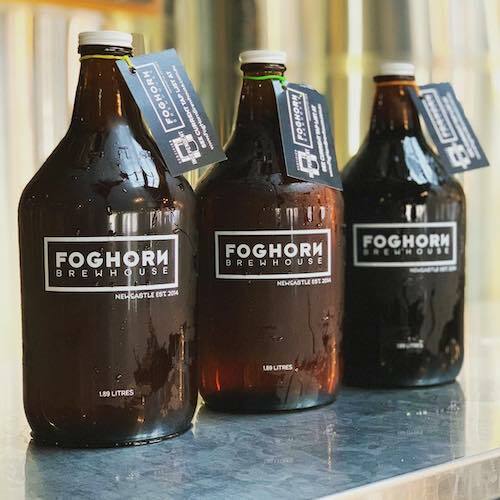 Opening their doors in April of 2015, the Newcastle based brewery, FogHorn Brewhouse was originally an abandoned building. 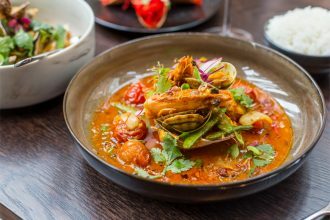 Featuring an 1800 litre brewery and four 1800 litre-serving tanks, FogHorn is also home to a mouthwatering American inspired restaurant. 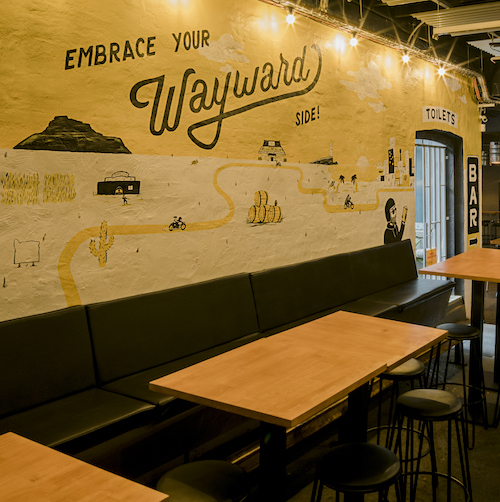 Guests will be amazed by the quality at FogHorn Brewhouse; serving beer directly from the tank to your glass. 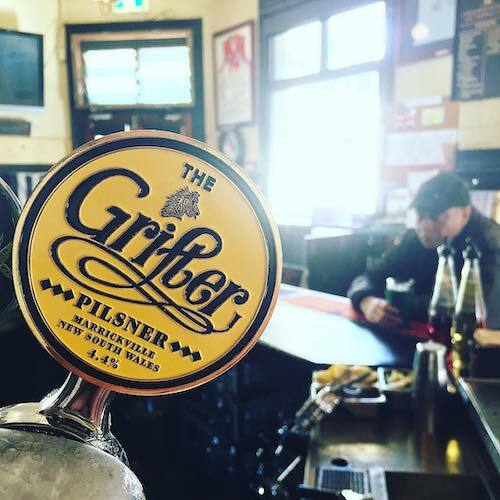 Sitting across from Enmore Park in Sydney’s inner west suburb of Marrickville is Grifter Brewing Co. Since 2012, three home brewers moved their recipes from their home to a fully functional brewery. Since then, the team use high quality ingredients paired with traditional brewing methods to create a range of beer Sydney-siders love. With over 10 beers on tap, Grifter Brewing Co is also home to various food trucks from Friday to Sunday. Nine hours from Sydney, sitting in a side street from Byron Bay beach is Stone and Wood brewery. Since 2008, the 100% independent regional brewery has created a range of beers for the likings of its locals. Stone and Wood take inspiration from the colourful community and the natural beauty of it’s surrounds to create the legendary Stone and Wood taste. Brewing for locals, friends and those who simply appreciate good beer. 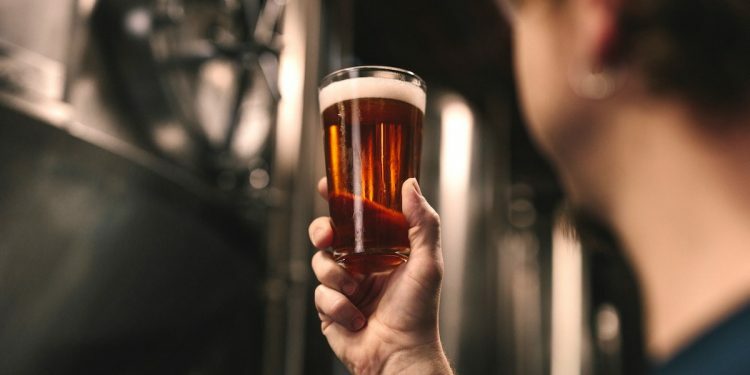 For the full list of all venues nominated 2018 Australia’s Best Craft Brewery Venues visit Beer Cartel’s website.